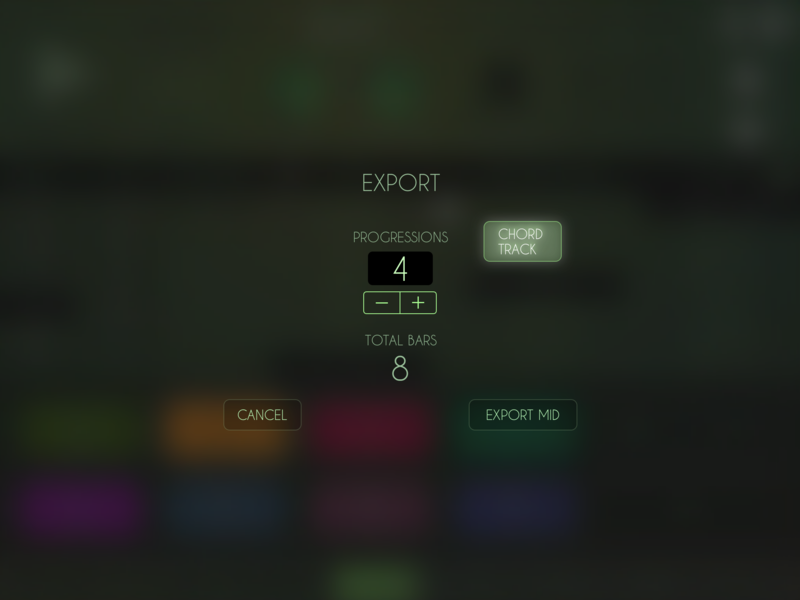 iBassist can export MIDI files to apply your own sound library and other instruments. Just press the “Export Mid” button to make MIDI file for the selected bass line, progression and jam. A new window will appear to select the number of bars and option to make a Chord Track. Export and go. If Song Mode is Selected, the window will not appear, just will export the current song.